The holidays are the most wonderful time of the year, right? Everyone is cheerful. It’s the season of giving. Heck, even Andy Williams sings a song about it. What’s not to love? Well, if you ask the 62% of Americans who reported elevated stress levels during the holidays, they might be able to answer that question for you. Well, guess what, my busy-awesome friends. It doesn’t have to be that way. And that’s what I’m here to talk about with you today. If you’re a fellow stressed-out human when the holidays roll around, keep reading. 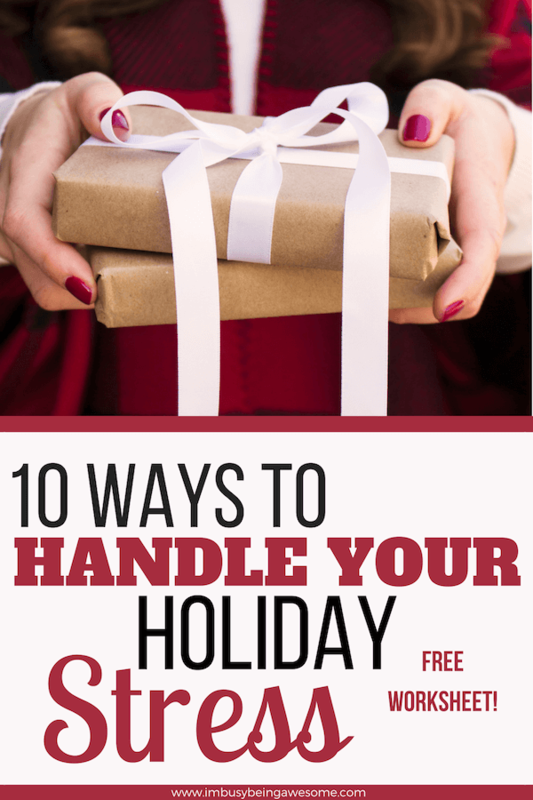 This post is filled with 10 actionable strategies that you can use to beat holiday stress and truly celebrate the season. I know, I get it. There is so much pressure to do “all the things” when it comes to the holidays. We feel like we must attend all the parties, goto all the holiday shows, buy all the presents, observe all the traditions, and eat all the cookies. Here’s the deal friends, as the tune Deck the Halls reminds us, ’tis the season to be jolly. But when we pressure ourselves to squeeze these extra activities into our already busy schedules, we magnify our stress levels tenfold. What’s more, we lose our jolly-factor pretty darn quick. So rather than causing unnecessary anxiety, learn to say no. Highlight the most important traditions and events that you wish to attend, and politely decline the rest. Wouldn’t you rather have a relaxed season with a handful of incredible highlights than a frazzled season jam-packed with a blur of stressful memories? If you struggle to say no, be sure to check out my post filled with strategies to say no with grace and ease. Over the last few years, however, my life grew increasingly busy and – out of necessity – I learned to let this perfectionism go. Was it hard? Yep. But is it better this way? Oh, heck yes. I finally realized that people won’t mind that they don’t receive 20 (!?) different types of cookies on their cookie tray each year. The food will taste just as good on paper plates as they do on the “nice” dishes. And the world will keep spinning if we don’t send out a holiday card on time (or in the case of last year – at all). Though it’s sometimes hard to let these details go, try to remind yourself of what the holiday season is all about. For me, that means spending quality time with those I love while practicing gratitude for everything I have in my life. When we can keep this in the forefront of our minds, it’s a little easier to forget about finding the perfect napkin rings for our dinner party. As much as I wish this weren’t true, things don’t always go as planned. And this can be both stressful and frustrating. Maybe you can’t find parking in the crazy mall parking lot. Perhaps you burned your batch of cookies and only a few in the middle survived. Maybe airplane tickets were too expensive and you couldn’t travel to see your extended family for Thanksgiving. 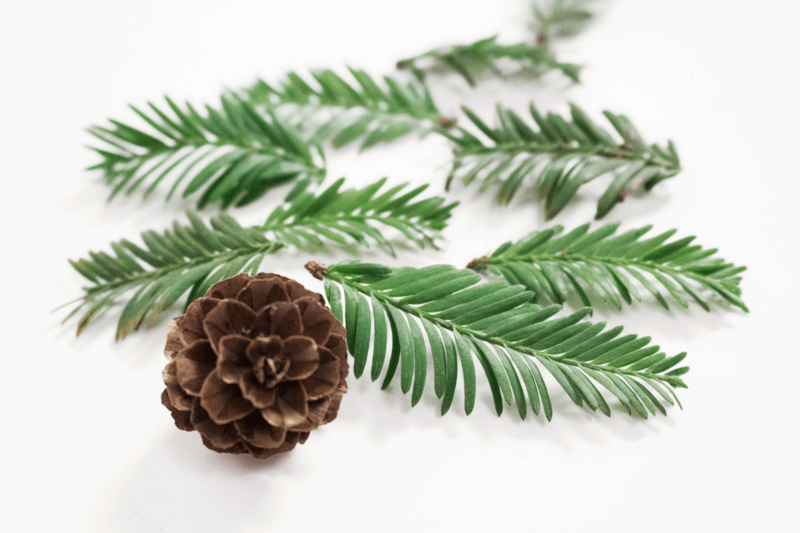 Whether big or small, snags in your plan can quickly increase your holiday stress, and this is especially true when you focus on the negative. If you take these situations and practice reframing, however, it’s amazing how quickly those negative emotions dissipate. Consider the examples above. Yes, you had to park ridiculously far away from the mall, but at least you got more steps in! Sure, you burned your batch of cookies, but there are just enough for your cookie tray and there’s less temptation leftover on the counter. Yes, it’s incredibly disappointing that you couldn’t travel, but you get to avoid the holiday airport rush, and you get to celebrate a quiet Thanksgiving with just you and your partner. No, the situations aren’t ideal, but when we practice finding the silver lining, it helps alleviate the frustration a bit. Want more tips on reframing? Check out my post here! Do you always get overwhelmed when you’re surrounded by large groups of people? Are you a person who gets stressed when there is not a clear plan? Does your patience dissipate when people get in your way in the kitchen? If so, then you’re exactly like me. Because those are my stress triggers. Ha! I’m an introvert, and while I love being around family and friends, large groups of people drain me of my energy. What’s more, it also causes me anxiety. Because of this, I find my stress levels rise considerably during the holidays if I don’t prepare myself. Now that I better understand my triggers, however, I’ve come up with strategies to help me prepare. While not everyone loves to follow as rigid a schedule as I do, I find having a plan also eases my stress. Therefore, when I’m visiting family or I’m on a long holiday, I try to maintain some structure in my schedule; it helps me prepare for the day ahead and know what to expect. Finally, I just let people know I’m crazy about my kitchen space. 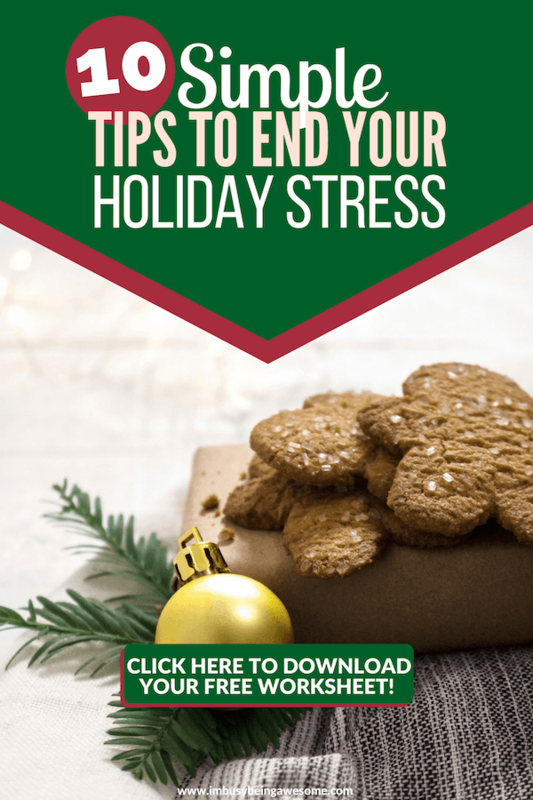 TLDR: figure out what causes your holiday stress and create backup plans to ease the tension when it arises. Similar to number four above, many of us thrive on following some type of routine each day, whether that’s a daily routine, a bedtime routine, a workout routine, or an eating regimen. When the holidays roll around, however, it’s often easy to throw out those routines and get lost in the bustle. Not surprisingly, this can quickly lead to holiday stress. Rather than taking an all or nothing approach, strive to maintain the routines that make you feel good. Get enough sleep. Hit the gym. Continue journaling before bed each night. The holiday season can stretch out for nearly two months, and by holding onto some consistency in your routine, you keep the stress at bay. What’s more, by sticking to a routine, you (hopefully) ensure some “me-time” as well, which is an absolute necessity during this busy time of year. Looking for tips on creating the perfect daily routine? Check out my top tips here! 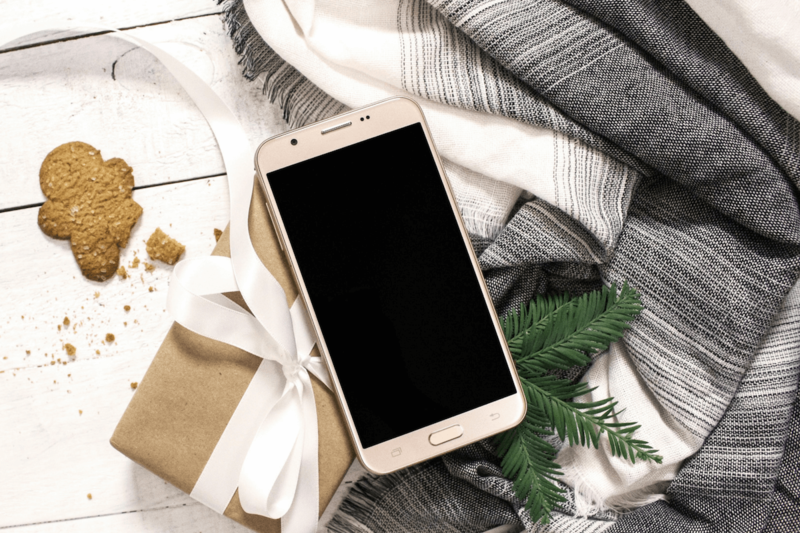 Between finding the “perfect” gift, battling the shopping crowds, and getting your hands on the latest “must-have” items, it’s no secret that shopping can be a major cause of holiday stress. Luckily, there are ways to lessen that pressure. First, let go of the idea that you must find the perfect gift. Seriously, release that pressure and simply ask for a wishlist. 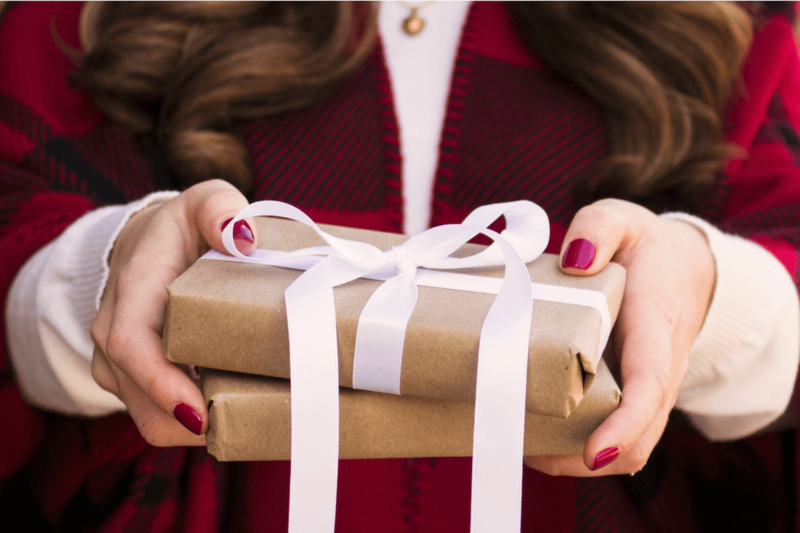 You’ll know what to look for, and the recipient will get what they want. It’s as simple as that. Second, start early – in both the season and the day. Rather than fighting the crowds on the weekend before Christmas, challenge yourself to start shopping early. After you get those wishlists, set aside a day toward the beginning of the season for shopping. If possible, choose a weekday morning – the earlier the better – and beat the crowds. I have a friend who takes a personal day in the middle of the week to do all of her holiday shopping. She also schedules a massage at the end of the day as a reward. I absolutely love this approach. Bonus tip: don’t forget to treat yourself. Finances are another significant cause of holiday stress. And no wonder; I came across a staggering statistic that it takes an average of four months for a credit card user to pay off their holiday bills. FOUR MONTHS!? That’s crazy talk, people. So how do we beat financial holiday stress? Simply put: create a budget and stick to it. Some people set a strict “per person” gift budget. Others set an overall budget. Some people withdraw a specific amount of cash and once it’s gone, it’s gone. Find whatever approach works for you and follow through. This will both relieve holiday stress and prevent overwhelm in January when the credit card bill rolls around. I cannot stress this point enough. If you want to reduce holiday stress, then you need to get enough sleep. Study after study has repeatedly shown the negative impact of sleep deprivation on stress levels. According to a study by the APA, when study participants got under the recommended 7-8 hours of sleep, “more than half (53 percent) report[ed] feeling sluggish or lazy, 38 percent report[ed] feeling irritable, 29 percent report[ed] they have trouble concentrating and 25 percent report[ed] feeling no motivation to take care of responsibilities.” What’s more, adults who slept less than 8 hours a night reported higher stress levels overall. So seriously, friends. Make sleep a priority this season. You: But Paula, I try to get enough sleep, but I can’t fall asleep at night. Me: I hear you; I struggle with the same thing. If you find yourself tossing and turning throughout the night, try winding down with a bedtime routine. Find ways to quiet your mind, unplug from technology, and relax. Another favorite tip is to use essential oils before bed; I’ve been a huge fan of essential oils recently, and the Sleepy Essential Oil Blend and the Peace and Tranquillity Blend are wonderful options for calming a racing mind. If you’re interested in giving these scents a try, I definitely recommend checking out Simply Earth. This company provides incredible oils at super affordable prices ($10 per bottle!). No subscription necessary. 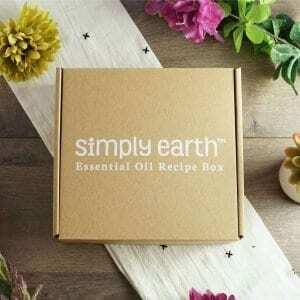 What’s more, if you subscribe to their monthly box (only $39/month) and use my promo code at checkout, IMBUSYBEINGAWESOMEFREE you’ll receive a Big Bonus Box, an Essential Oil Recipe box, and a $20 egift card towards future purchases. (WHAT!?) I know, seriously. Check them out now! Are you ready for another staggering statistic? 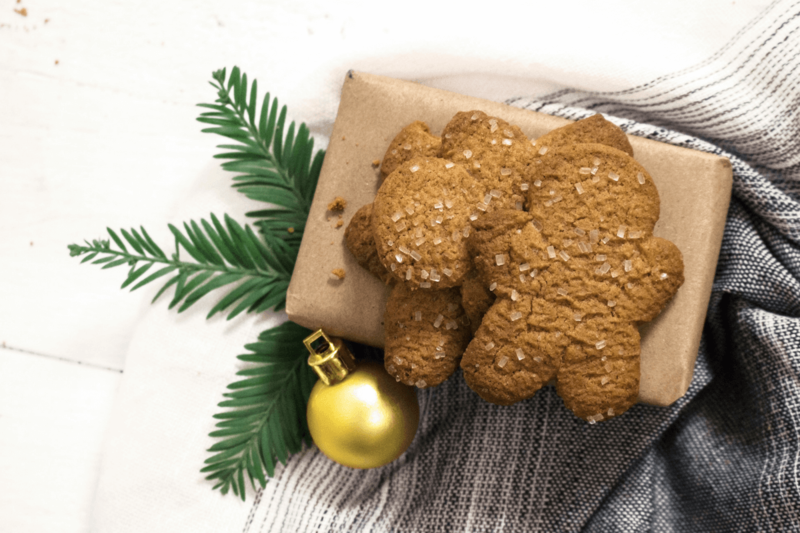 The majority of us (74%) overload on unhealthy snacks and treats to help get us through our holiday stress. What’s more, 60% of us feel guilt for those very eating habits after the holidays end. It’s no secret that this time of year is filled with the temptation to eat sugary, delicious treats. Unfortunately, those very treats that taste so good are also filled with empty calories that cause major energy crashes. While it’s fine to indulge every once in a while, avoid the “It’s the holidays!” mentality and eat like it’s Thanksgiving all season long. Instead, focus on fueling your body with energy-rich foods. Fruits and vegetables, healthy fats, lean proteins, and satiating nuts, are all great ways to take care of your body and feel great throughout the season. Similarly, don’t give up on your workout routine. Be sure to keep your body moving, whether that’s hitting the gym for your favorite class or going for a walk outside in the fresh air. Sticking with your routine and keeping yourself active is a great way to kick holiday stress to the curb. It’s easy to get overwhelmed in the pursuit of a “perfect” holiday season. So as often as possible, take time to practice gratitude. Doing so helps us to reframe our thoughts and start seeing the silver lining in more situations. My favorite way to practice gratitude is with a gratitude journal. For the past 6 1/2 months, I’ve spent a few minutes each night recording why I’m grateful that day. Sometimes the entries are quite lengthy, while others (especially when it’s late) contain a short list of 3 bullet points. Regardless of the length, the key point is to acknowledge the wonderful things – both big and small – that surround us every day. As I mention in my How to Start a Gratitude Journal post, there are so many benefits to practicing daily gratitude. You will likely increase your awareness of the joys that surround you. You have the opportunity to learn more about yourself, and what’s important to you. Practicing gratitude can help lower your stress by finding the silver lining. You may sleep easier by making gratitude journaling part of your bedtime routine. By focusing on the good, you put yourself in a better headspace and raise your frequency. This radiates to everyone around you. Not only will you feel good, but you’ll also bring others up along the way. I don’t know about you, but those benefits certainly help to lower my holiday stress! If you’re interested in starting a gratitude journal this holiday season, but you’re not sure what to write, consider the seven journal prompts below. Choose one or two that speak to you, and write about them. You can use the same prompts repeatedly, or you can try a new one every day this week. The choice is up to you! Love the idea of keeping a gratitude journal? Fantastic! Be sure to grab my list of 31 gratitude prompts – one for every day of the month – and kiss your holiday stress goodbye. 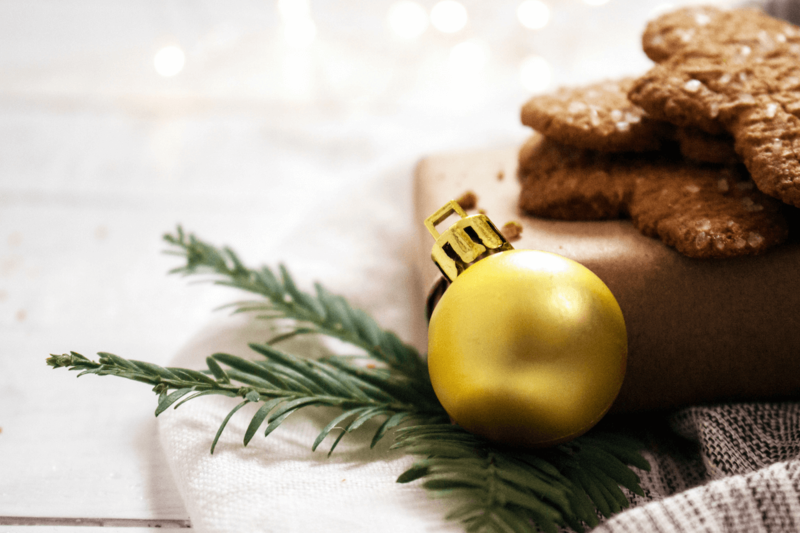 There you have it, friends – my top 10 ways to beat holiday stress and truly celebrate the season. Give them a try today and let me know which ones work best for you! Do you feel overwhelmed during this season? 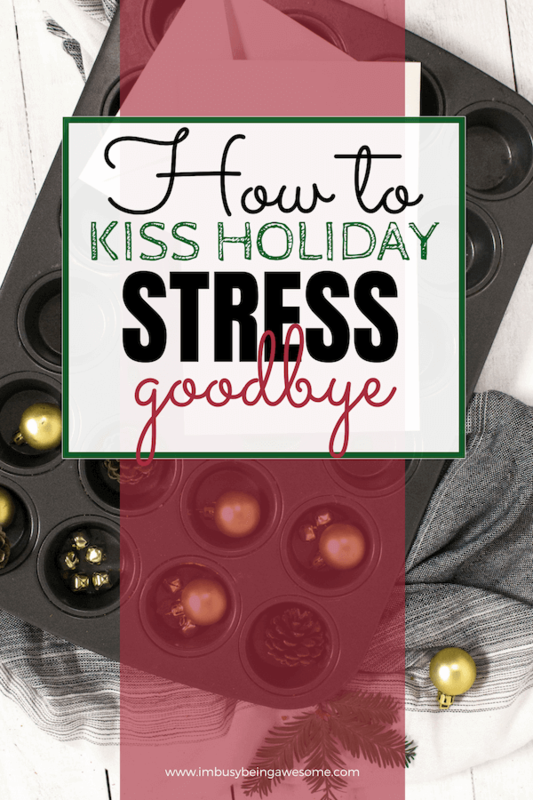 How do you handle holiday stress? Let me know below! I think the key is lowering expectations or communicate them. Everyone has a different idea of how the holidays should go. If everyone isn’t on the same page the person expecting the most will be disappointed. I have the hardest time saying no to holiday events. I mean, I want to do it ALL, but them I’m way too exhausted to enjoy them. I know! They all sound so tempting, don’t they? This is a such a timely read for me and full of so many great tidbits! 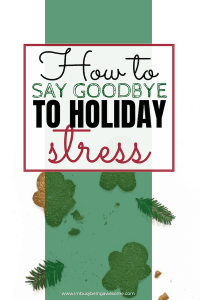 I love the holidays but have definitely found myself stressed at times. It has really helped me to just remind myself that we don’t need to do anything based on other’s expectations. It helps the holiday be so much more enjoyable. I love all these tips specially the budget one. I always make sure that we stay within budget even on our vacations. The holidays are super stressful for me. I am loving these tips. I’ll have to try them out! I so agree with you on so many points here! Quality over quantity is a great virtue to have in most things and planning ahead always helps relieve my stress! Lots of great tips in this post! I think we all go into the holidays with good intentions but that can quickly go sideways. I will be keeping these in mind for sure. I love these suggestions. The hustle and bustle struggle is real. Thanks for sharing. Between working, homeschooling, and trying to be a present wife and mother- taking care of myself tends to take a backseat. I need to be better about that. This is the perfect time for me to read this. Already about to get our first guest for the holidays! These are great tips — I especially like, “It’s okay to say no.” The new year will hold plenty of opportunities, so why not try to push some things to a less hectic time! It calms me down to even read these helpful steps! I think we have to lower expectations and take it easy on ourselves, especially during holidays! It can be overpowering with all the pushy messages and emails from the stores, etc. 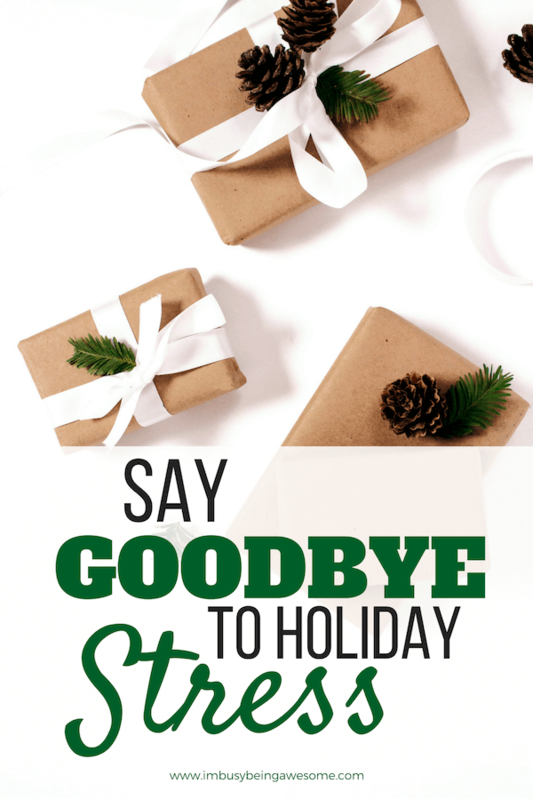 Saying NO has been the best way for me to navigate holiday stress. By saying no to others more, I can say yes more to the people and things that I truly care about! I totally agree with everything on the list! It’ll be my first holiday without my family and I’ll be on my own since I just moved abroad! I have this feeling that I have to treat them with more stuff since I am away… but I have to stick on my budget. Haha. Wow! What a new and exciting experience! This holiday, I’m planning ZERO homemade gifts. Every year I have intentions to craft things for my loved ones, and I inevitably stress about not getting them done in time. This year, I’m relying on Amazon—with zero guilt. These are all great tips, I like practice reframing and set a budget best! We’ve always kept to pretty low key holidays and concentrate more on quality time with family! These are all such wonderful suggestions. Most of them can be used anytime of year! I could certainly practice re-framing. Sometimes it’s easy for me to get wrapped up in negative. I love the idea of actively looking for a positive in the moment. You and I have exactly the same stress triggers, ha! I even shoo my husband out of the kitchen when I recipe test, I need to be able to concentrate and think. This is really helpful for all of the holiday craziness! These are great reminders as we approach the busiest time of year. I worked on #1 and #2 last year and it made a world of difference . Thanks for sharing. I love to hear that, Annette! These are great tips for avoiding the stress of the holidays. Thanks for the advice!!! Just love you suggestions! The holiday can be so stressful! This helps! I am trying to come up with a plan for the Holidays and shopping little by little so I don’t get totally overwhelmed. That sounds like a fantastic approach, Rachel. You got this! These are beautiful reminders of keeping the important things important. This holiday season will be difficult for me because it is the first Christmas without my mom. I love that you added the grateful prompts because in a world full of greed and materialism gratefulness is what keeps us grounded. When things are piling up and emotions are flowing it is in those moments we learn what is truly important! Thank You! Thank you for your comment <3 I'm so sorry for your loss; I hope surrounding yourself with loved ones this season will help provide comfort and support. Sending love your way. 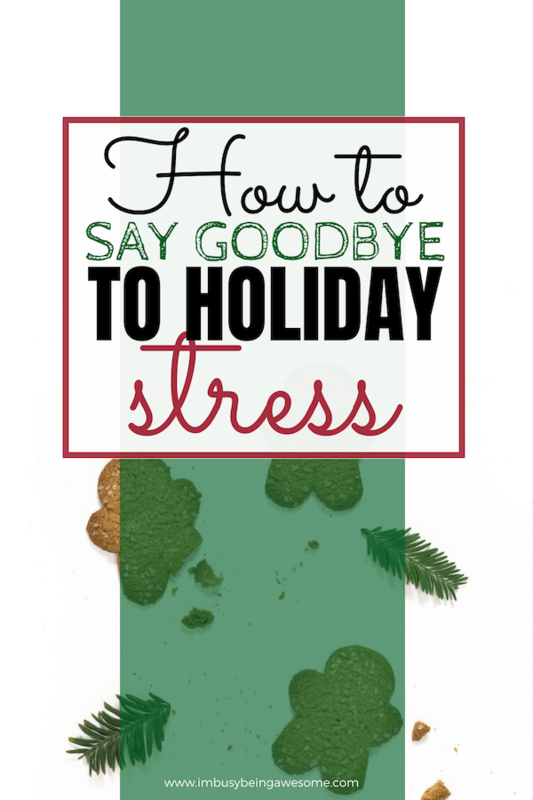 These tips will definitely reduce my Holiday stress! I love the Holiday season but boy, can in it be stressful! I think sticking to a budget and getting enough sleep are super important! Yes! It’s amazing how that stress can build isn’t it? These are great tips!! Ordering online has been a great experience for me . Not just from Amazon but from Mom and Pop sites where you can find some one of a kind gifts.